A technology turning point is on the horizon that will make your well-loved iPhone, iPod and MacBook Air perform even more efficiently and reliably. However, Apple itself isn’t into rushing things lately, and it seems like we’ll have to wait for several months more before we experience this innovation. We are talking about the new advanced NAND flash technology, the sub-30nm chips which Samsung Electronics and Toshiba have begun producing since the beginning of this year. 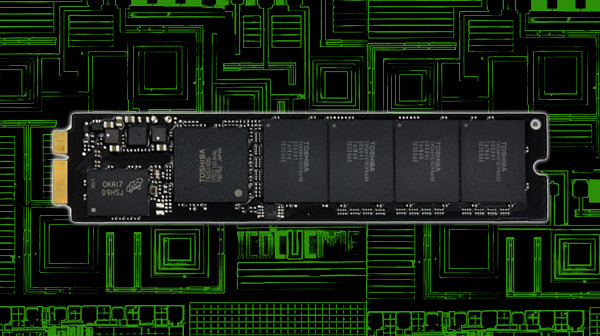 This NAND chip is extremely high tech, as it would allow Apple to utilize larger amounts of flash storage for its line of amazing gadgets like iPhone, iPod touch, iPad and MacBook Air computers. What does this mean for you, the consumer? For one thing, flash memory smaller than the current 30nm means higher memory density. In other words, any gadget you stick on to your PC, such as your high memory USB flash drive, will work twice as well! But the only practical way to produce these chips is through mass production and Samsung and Toshiba are wary that their biggest customer, Apple, is taking months longer than usual to certify and approve manufacturing. The usual 3 months of approval now takes 9 long months, which means that the first sub 30-nm chips may not be here by the end of 2011. We don’t really hear any complaints from the two chip manufacturers but we can’t blame them if they are anxious to produce this kind of cutting edge NAND flash. Furthermore, their patient waiting for Apple’s green light is a strong indicator to how dominant Apple has become in the past few years. On the other hand, we cannot blame Apple for being a little picky these days. Besides, other companies have been proven to have more strict requirements in quality and reliability, taking even longer to give approval for technology components. Despite all the chaos, there is no stopping flash manufacturers from racing against each other towards NAND technology supremacy. Which company do you think has the edge to win the race? Which has the most potential to dominate? What do you think this all means for USB technology? Let us know your thoughts! This entry was posted in Apple, Articles, Flash Memory Future, iPad, iPhone, Samsung, Toshiba, USB Future, USB Technology and tagged advanced NAND flash technology, Apple, Apple NAND Flash, Apple NAND Flash memory, high memory USB flash drive, iPad, iPhone, iPod touch, MacBook Air computers, NAND chip, Samsung and Toshiba Awaiting Apple Approval on sub-30nm NAND Chips, Samsung Electronics, sub-30nm chips, Toshiba Electronics, USB technology. Bookmark the permalink.